In order to obtain a business loan, many (if not most) loan providers will take a hard look at your credit score. 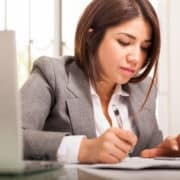 That makes sense since your personal credit score and your business credit score are fairly strong indicators to lenders as to whether or not you’re a reliable borrower. 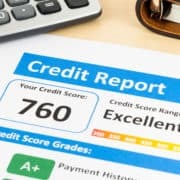 Your credit score(s) will serve as a way for lenders to assess your ability to afford payments and to make them on time. 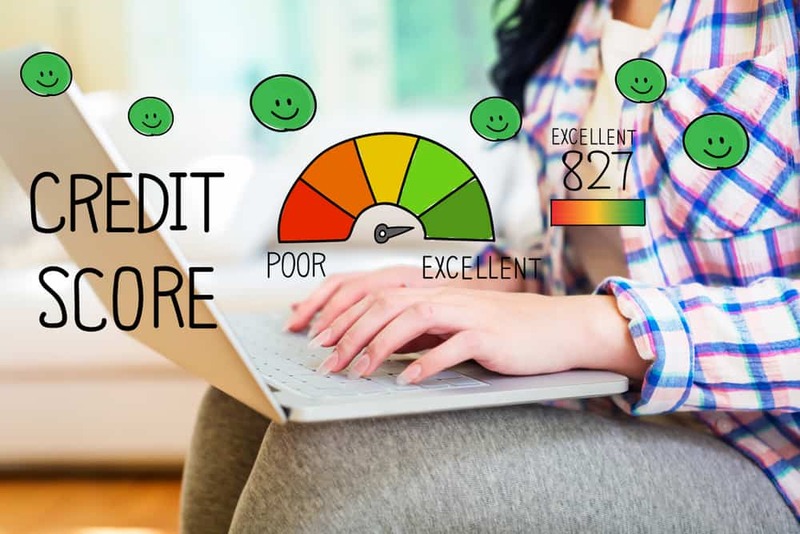 In fact, research has found that business owners who have a better grasp of their credit scores are 41% more likely to be approved for a business loan. But the truth is, there’s a lot more that is taken into account when you apply for a business loan. Here, we cover four other factors that come into play when applying for a loan. If you’re looking to get your business funded, be sure to invest some time on improving the following factors in order to increase your chances of getting approved. Related: How Big of a Role Does Credit Score Play in Small Business Lending? For startups specifically, time in business may be the biggest obstacle to overcome. New business owners need funding in order to get their business up and running. often times, lenders will require that the company has been in business for a certain amount of time (a year or two). It’s the classic “chicken and egg” riddle. The question remains; how are you supposed to fund your business if the company hasn’t been around long enough? Unfortunately, you won’t be able to ‘work on’ this one. Fortunately, there are alternative solutions – consider applying for either a startup business loan, or to fund your business with credit cards. Relying on a credit card to fund your business requires careful planning and responsible use. 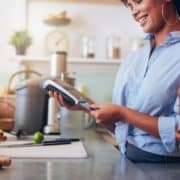 But the fact is that, according to the U.S. Small Business Administration, more than 65% of small businesses frequently use credit cards as a source of financing. When a lender is evaluating your business, they’ll want to know how successful your company is. 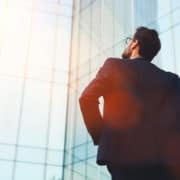 While there are multiple factors that come into making that determination, loan providers use monthly revenue as a window into the health of your company’s sales. You’ll want to make sure that you’re pricing your services so that they’re not so expensive that they turn customers away, but also not so cheap that your revenue suffers. It will take some trial and error to get the pricing right, but the goal is to find the middle ground that attracts customers and makes you money. Existing loans may be a bit trickier to work through as there is no hard-and-fast rule to follow. If you’ve already taken out a loan or an advance, that doesn’t necessarily mean you shouldn’t take out another. For example, if you’ve already taken out a student loan that shouldn’t in-and-of-itself stand in the way of you applying for a business loan. When it comes to having existing loans, it’s a good idea avoid ‘loan stacking’, which is the practice of taking out two or more loans or advances that have the same or very similar terms. 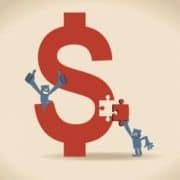 Loan stacking is a risk for loan providers because if you’re using the same assets as collateral for several different loans, there is a chance that those assets will be seized by one lender, leaving nothing for the other lender. This is the very reason why so many loan providers have anti-loan stacking policies. On the other hand, two loans or advances that are different enough (like student loans and business equipment loans) are normally allowed because they don’t interfere with your business’s ability to make monthly payments. Non-sufficient funds (NSFs) alerts show up on your bank statements when you’ve attempted to apply a charge to your account without that amount being available for withdrawal. Lenders will more often than not check to see how many NSFs you have in your account history. This serves as a way for loan providers to assess your ability to make payments on time and in full. If you have too many non-sufficient funds alerts on your account, it will weaken your application. Apart from that, there are normally fees which are associated with NSFs, along with the chance of damaging your credit score if NSFs are left unresolved. 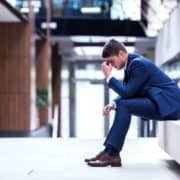 While your credit score often plays a role in your ability to obtain small business funding options, it isn’t the only factor to consider. With the information discussed above, your chances of getting funded won’t suffer. Keep an open mind and take into account even the smallest of factors that could potentially impact your ability to be approved for financing. Ben Shabat is a writer with Lending Express, a technology company committed to creating a better world of funding for SMBs. 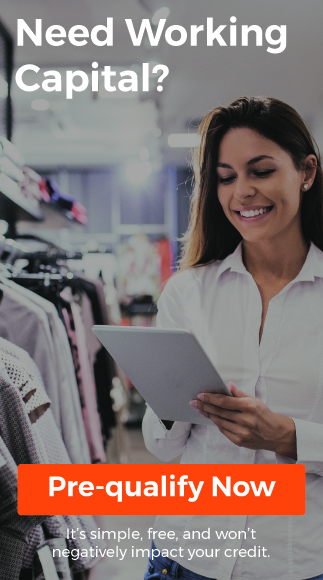 Using technology, Lending Express optimizes SMBs funding odds and matches them with personalized funding solutions in the simplest way possible. How Does Business Credit Affect Lending Decisions? 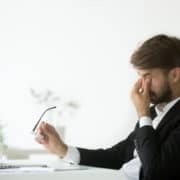 Proven Methods To Help Small Business Owners De-stress My Small Business Is Ready For Growth – What Do I Do Next?